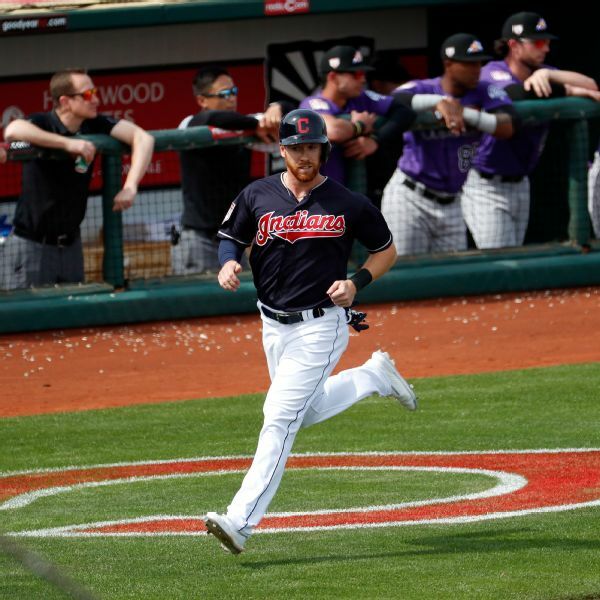 SAN FRANCISCO -- Outfielder Matt Joyce has reached agreement on a minor league deal with the San Francisco Giants following his release by Cleveland. The Giants announced Wednesday the non-roster addition of Joyce, who is 34 and spent the past two seasons across the bay with Oakland. He played in just 83 games last season while dealing with a lingering back injury, batting .208 with seven home runs and 15 RBI. Joyce, a left-handed hitter, had 25 homers and 68 RBI while batting .243 in 141 games for the Athletics in 2017. He gives manager Bruce Bochy more depth for now in an outfield that is expected to feature Steven Duggar, Gerardo Parra and Mac Williamson. Cameron Maybin also joined the Giants on a minor league deal this spring.